From its first season of plays in 2001 on the campus of Fairfield University to the opening of StageOne in Downtown Fairfield in 2004, to a string of sold out performances by major artists at the Klein Auditorium in Bridgeport, The Fairfield Theatre Company has grown, and evolved into one of our regions most energetic and productive performing arts centers. Having presented nearly a thousand days and nights of programming so far, we can proudly say that well over one hundred thousand patrons have enjoyed our concerts, plays, film screenings, workshops for children and adults, our outdoor summer music festival, a weekly Farmer’s Market, stand-up comedy, lectures, readings, and more. We have averaged a live event on one out of every two calendar days since opening StageOne in June of 2004. 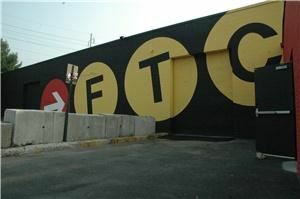 In 2008 FTC served over 45,000 patrons.